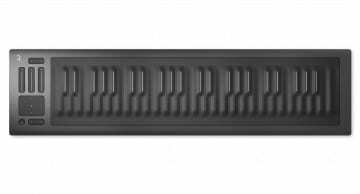 One of the most exciting new controllers that was launched at NAMM this year was the Seaboard RISE 49 from ROLI. 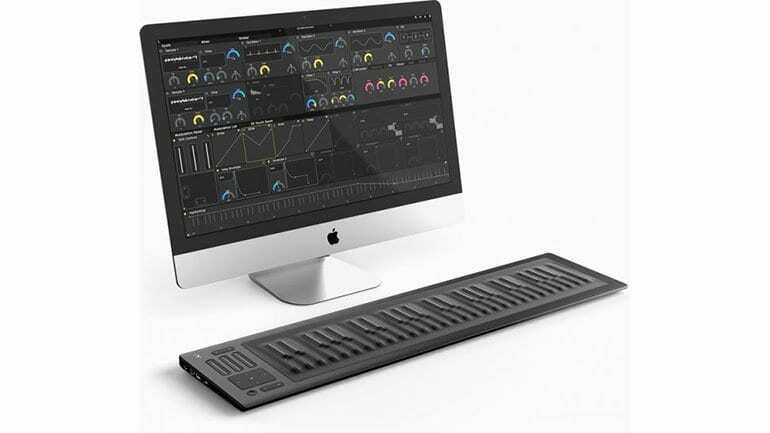 It’s the larger version of the more affordable RISE range of Multi-dimensional Polyphony Expression (MPE) controllers that started with the 2-octave RISE 25 last year. 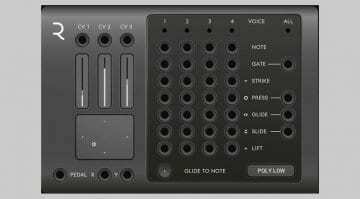 The RISE 49 expands that to 4 octaves, widening the scope for performance and expressive creation. ROLI are now taking orders online and it will set you back either $1199, £949 or €1299 depending on where you are. It’s also available through the regular network of major music technology retailers and, probably a bit annoyingly for the retailers, it’s on Amazon. 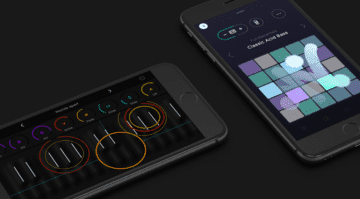 Each RISE 49 comes with a padded soft case, an 8-track version of Bitwig and ROLI’s custom-made MPE-compatible software synth called Equator. If you’re not familiar with the gifts of the RISE 49 and MPE, it allows you to create performance data in five dimensions. You have the initial strike of the spongy keyboard-like controller giving pitch and velocity, then you can slide forwards and backwards to affect velocity, slide left and right to affect pitch, push into the controller to affect pressure and finally you have more data created on the speed of release. 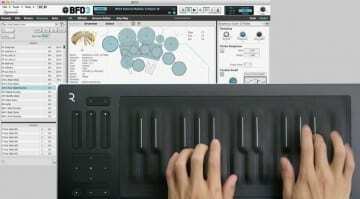 It offers something along the lines of a stringed instrument in terms of performance, although of course with total and note-independent polyphony. It can make for a very interesting and expressive performance.